If you want to hone your self-publishing skills, you’re in the right place. There's guidance on writing, formatting, marketing and self-editing. I’ve walked in your shoes – I’ve self-published four books and understand the challenges that come with doing everything yourself. With these articles, ebooks, videos and podcasts, I show you how to navigate your self-publishing path without the overwhelm. 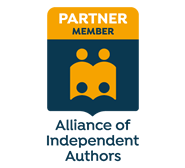 This writers' library is where you can access articles, ebooks, videos and podcast episodes about writing, editing and self-publishing fiction regardless of genre. All the resources are free and available with no strings. Fancy reading some of my short stories and flash fiction? Help yourself to these free mini ebooks. The stories are a fusion of crime and speculative fiction. If you're a crime fiction writer, my Aid and Abet series is for you. Here you'll find an overview of subgenres, and guidance on writing, planning, and nailing narrative point of view. The Editing Podcast is hosted by Louise Harnby and Denise Cowle. Listen now to discover how you can make your editing and writing life easier. Sign up to my blog, ​The Parlour, to receive regular updates about new resources. ​I promise – no sales, no spam, just scrumptious stuff for self-publishers and editors.